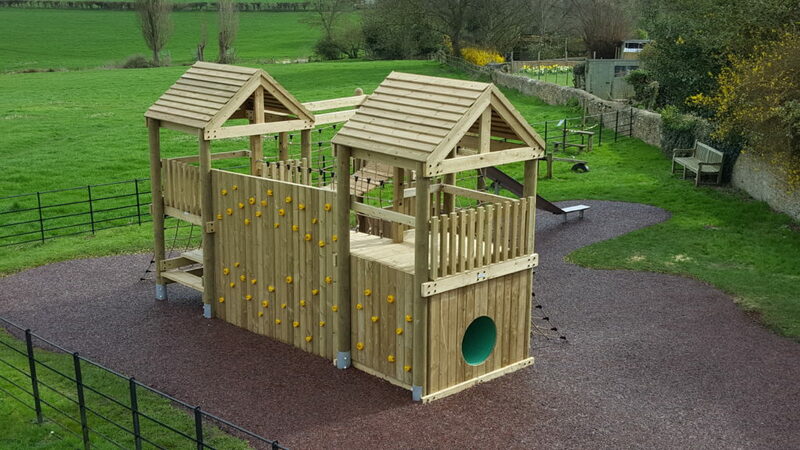 In an Oxfordshire village, PlaySmart have recently completed installation of our exclusive JungleMulch playground surface. JungleMulch was installed around a stunning new piece of kit, giving a natural looking play area in keeping with the area. In the beautiful, rural setting against a timber kit, the rustic blend gives vibrancy without looking out of place. As a result, the local community will have a low maintenance, long-lasting surface for years to come. The client commented how well the Parish received the area at the opening and said that everyone ‘loved it’. If you’d like a quote for our exclusive playground surface JungleMulch, please feel free to get in touch! To do so, you can call our experienced team directly on 01564 742811. Alternatively, why not take a look at our new guide which features JungleMulch as well as our other playground surface ranges? Click below to find out more!